A sophisticated twist on a classic design. 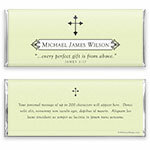 Design: Gothic style cross with decorative name scroll. 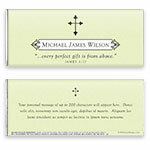 Personalization: Front name scroll and message, back message.